The decline of bee populations could destroy agricultural production in the United States and bring our economy to its knees. In recent years, I've seen a dependable phenomenon develop on garden Web sites and Internet message boards. About the time that zucchinis and other summer squashes are coming into bloom, people begin to complain: "My little squashes 'set' but then they shrivel up, or rot, and won't grow anymore." In Daddy's day, zucchinis and other summer squashes were as reliable as clockwork. The biggest problem was not in growing them but in getting rid of them. We used to sneak zucchinis onto the neighbors' porches when they weren't home. But before we snicker at these novices who can't even grow an infallible crop, we have to realize: "This isn't your Daddy's garden." 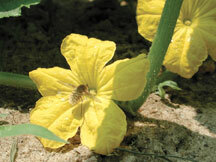 The squash flowers simply did not receive enough grains of pollen to fertilize enough of the incipient seeds inside them. Gardeners often don't realize that they don't need just one bee to visit each squash blossom; they need twenty or thirty. 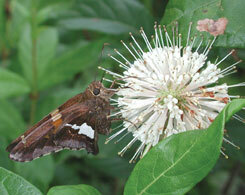 Pollination, which once was taken for granted, can no longer be assumed. Pollinator decline is a serious environmental issue, and gardeners everywhere are discovering it firsthand - though often they don't realize that it is the cause of their gardening challenges. Farmers know about the pollination problem, and good farmers manage pollination just as they do other aspects of farming. 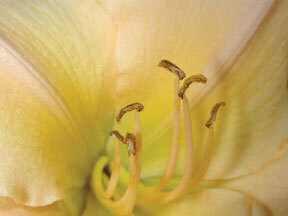 Two trends have crossed to pose the pollination dilemma. One is the trend toward monoculture - larger fields and orchards with only one crop - while the other trend is the decline of pollinators. In Grandpa's day, he would have been a very large grower if he planted 10 acres of watermelons. At the same time he likely had ten or twelve bee gums on his farm and a couple dozen colonies in hollow trees in the woods nearby. Today a grower might plant 100 or 200 acres of watermelons and, if he's lucky, have one bee tree left in the woods. That's quite a shortage. 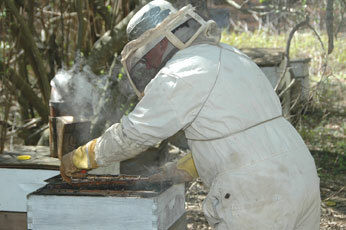 Farmers today contract with commercial beekeepers to supply the bees that pollinate their fields. Last February, several tractor-trailer loads of honeybees went from South Carolina to California to pollinate the U.S. almond crop. Actually more than half of all honeybee colonies in the United States (about 1.3 million) made the trip to pollinate almonds in California. Professional beekeepers are helping to compensate for the agricultural pollinator shortage by migrating to the blossoms, becoming pollinators more than honey producers. Later in the season, the same beekeepers may move on to New York to pollinate apples, Maine for blueberries, or South Carolina to set their buzzing livestock to work on watermelons, squash and cucumbers. Hummingbirds, bats, beetles, butterflies, moths, carrion flies and many other agents, even pests such as thrips, can be pollinators of certain very specific types of plants - and they can be important for those wildflowers that are adapted to them. 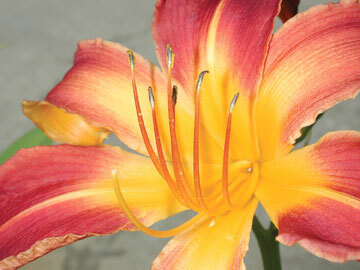 However, they are not suited for large-scale or agricultural pollination. Bees are the real workhorses of pollination for our food crops. Most people think of honeybees when bees are mentioned, and it's true that they are primary in most of our agricultural pollination, but they aren't native to our hemisphere, so our native plants do not require honeybees for pollination, except when native bees are absent or a crop is concentrated in larger fields than native populations can handle. This scenario has become more common as agricultural fields grow, requiring pollination by large numbers of bees brought in by beekeepers, and native and wild bees continue to decline. To check whether you have an adequate supply of pollinators in your own garden, stand still in the garden at 10:00 a.m., when your veggies are beginning to blossom. Do you hear the garden hum? Can you spot fifty or sixty bees (of any species) moving every minute? If your answer to these questions is "no," you are not alone. 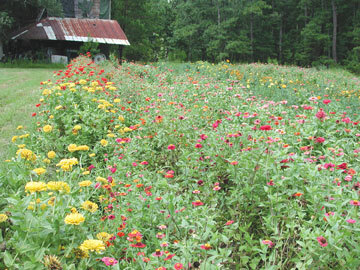 Many gardeners, farmers and others are finding fewer and fewer pollinators in their gardens and fields in recent years. Though no one knows exactly what has caused the pollinator declines or how far they will go, several factors, especially the misuse of pesticides, have contributed. 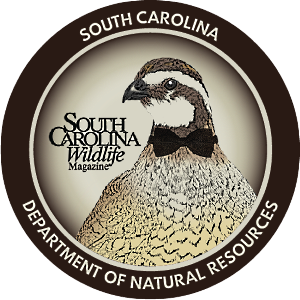 South Carolina is home to a number of species on the decline. Some think the honeybee was a factor in that it out-competed native bees when it was brought here from Europe. I haven't found that to be the case, as my observations are that wherever conditions are good for honeybees, native bees are also present in abundance, often working on different plant species within the same area. At any rate, tillage of the ground destroys many of the ground-nesting species, and paving or building on it does so even more permanently. We know that honeybees and bumblebees have also been hurt by the introduction of new parasites and diseases that have caused part of their decline. Some bumblebees that were once very common in South Carolina are very hard to find today, like the little Andrena bees, commonly known as sand bees, that I used to see by the hundreds on our Bradford pears and crab apples. We suspect other species are similarly affected but have little data because there has been so little study. For honeybees, two parasitic mites, varroa and acarine, introduced in the 1980s, have caused a lot of losses. In the 1990s the small hive beetle was introduced, probably riding on fruit from Africa into the port of Charleston or Jacksonville. It was first noted in South Carolina near Charleston, but could not be identified until Florida entomologists did so a couple of years later. 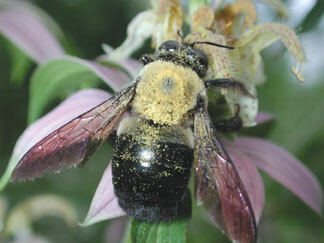 A larger problem for pollinators than parasites or disease is the misuse of pesticides. Every summer I see coastal gardens with blooming cucumbers, squash and beans coated with Sevin dust. In this case the gardener's misuse of the pesticide is the primary problem. The label on Sevin says: "This product is highly toxic to bees exposed to direct treatment or residues on blooming crops and weeds. Do not apply this product or allow it to drift to blooming crops or weeds if bees are visiting the treatment area." This behavior poisons wild bees or a beekeeping neighbor's livestock while simultaneously preventing pollination in the garden. Starting from the turn of the 20th century, the insecticide lead arsenate was increasingly used on fruit. 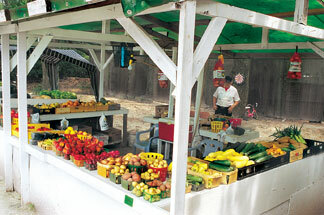 Soon farmers learned that bees were in decline and began to bring in beehives during the fruit blossom. Then they realized why bees were in decline: because farmers who sprayed lead arsenate during bloom killed the beehives. This episode led to the passage of laws prohibiting insecticide application during bloom. As DDT, and then newer carbamates and organophosphates replaced older pesticides in the last half of the 20th century, bee kills have climbed. In 1972 new pesticide labels were introduced to protect bees, but they have not been as effective as hoped. The Environmental Protection Agency turned over enforcement to the states, and it has been weak in most. By the 1990s a new class of insecticides - neonicotinoids - posed a new problem; they didn't kill bees, but they confused them. These chemicals' ability to confuse social insects found use in killing fire ant colonies. If social insects, like fire ants or bees, experience a breakdown in the social structure, the colony dies. In France massive bee die-offs were blamed on a neonicotinoid type called imidacloprid (trade name Gaucho). After intense controversy in which the manufacturer claimed it was being used as a scapegoat, the French government banned the pesticide anyway. The same chemical was implicated in Nova Scotia in the loss of bees in blueberry pollination. The company still claims innocence and has greatly expanded imidacloprid's sale in the United States. In the spring of 2007 there were massive die-offs of honeybees in many areas of the United States. The losses were designated as "colony collapse disorder," and the cause is still a mystery under investigation. Fortunately, it has not been seen in South Carolina - so far. A unique symptom of colony collapse disorder is that the bees just disappear - hives that were full of bees become empty in just a couple of weeks - and no one can discover why the bees could not or did not find their way home. 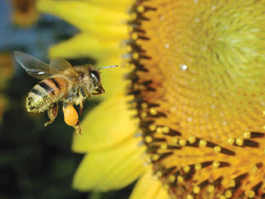 Some blame neonicotinoids for the ailment; some blame viruses vectored by the parasitic mites; some blame drought and poor prior seasons; some blame stresses of modern beekeeping methods, including movement of the bees for pollination; and some think that a combination of factors is compromising the bees' immune systems to cause their deaths. Others note that there have been large unexplained die-offs of honeybees several times before in U.S. and European history. University of South Carolina entomologist Martin Hauser says the Europeans are ahead of us in understanding how pesticide use can sometimes cause a rebound that actually makes the targeted pest worse, while at the same time devastating beneficial pollinators. In your garden, pesticides need to be used as a last, rather than first, resort, and only for spot treatments. Many pests can be controlled without pesticides if we just understand their life cycle, what naturally controls them and how to enhance the environment for their enemies. We can also help by increasing pollinators' food supplies - feed the bees and they'll feed us. It's important for pollinators to have continuously blossoming nectar and pollen sources throughout the entire season to ensure they will not starve in periods of dearth like the early spring or the hot summertime. Planting flowers along with your veggies won't really attract pollinators to your veggies - if the pollinators are scarce, you may attract them away from your veggies during the first season you try it. But in the long run, if you feed them and protect them, their populations will grow and you'll soon see benefits: no more deformed cukes and melons, no squash that rots instead of growing and no more beans with empty spots in the pods. Plant lots of nectar-rich native plants like Joe-pye weed or goldenrod - or if you have it already, don't mow it until after it has bloomed. Leave the collards to bloom awhile in early spring. And, consider this: Are clover blossoms or dandelions so terrible in your lawn, especially when they feed our pollinators? Maybe we need to cultivate a new aesthetic, and a new ethic, to help out our helpful neighbors. I've certainly found that time spent watching our six-legged, winged friends, and trying to make their lives easier, is good for the soul.